I’m enjoying a quite Sunday morning sipping a few mugs of well-prepared, freshly ground coffee. This follows an already satisfying early weekend and restful night. My mood, however, is rightfully tempered by yesterday’s passing of Neil Armstrong who was very much a part of my boyhood. Born in 1961, the year both the USSR and the US put men in space, my earliest years coincided with those of the Mercury Space Program. It was the year a young, new President Kennedy gave his famous speech exactly one week from my birth of setting a national goal to send a man to the moon. 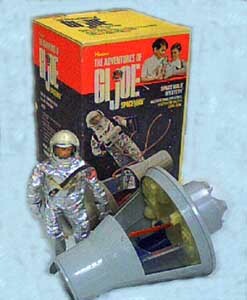 Christmas of 1966 saw a favorite present in the GI Joe Astronaut with Apollo Command Module Capsule. On July 20th, my family was camping at Celina, Ohio. We had a B & W portable TV with a 6″ screen and it was on that set that we joined an estimated 500,000 viewers worldwide as Apollo 11 succeeded in placing Armstrong, and later, Buzz Aldrin, on the Moon. Since then, I’ve visited the Neil Armstrong Air & Space Museum in the late pioneer’s hometown of Wapakoneta, Ohio. Inspired in part by Armstrong’s record of acquiring a pilot’s license prior to a driver’s license, I soloed a Cessna-150 on my 16th birthday. 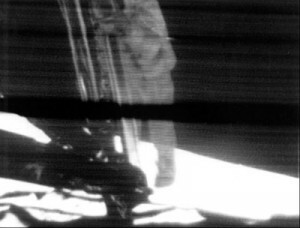 I’ll never forget those fuzzy images sent back from more than 25,000 miles, and I hope all of us will take at least a moment today to reflect on the memory of the humble flier, Neil Armstrong. Won’t you please feel free to share your own recollections of Armstrong, and if you were born more recently than those who remember the Apollo 11 mission, share an appreciation of this remarkable person. We gathered as a nation, united as one, glued to our seats. We were all thinking how incredible this was actually watching TV from the moon! Then remembering the emotion when Neil said those emortal words…. Perhaps you can clear up a mystery for me. While I remember quite clearly the landing, I’m fuzzy on exactly where I was when I watched the landing. I seem to remember that our families were camped at Celina and that we watched the landing on a small set. Mom and Dad think that we were camping at Celina, but that we’d gone back home to pick up supplies and watch the moon landing on the “big” TV? Do you recall where we were? Neil Armstrong was truly an American HERO! Getting to the Moon and returning to earth safely required knowledge, skill, faith, and GUTS.